As someone who used to or still smokes, the words Vape pens and “Vaping” hopefully might not come as something new to you. Although many people do not fully understand what it means to vape or its the importance. However, it has been strongly advertised as a healthier alternative to cigarette smoking. It is also one of the many effective ways through which cannabidiol can be ingested into the body. A lot of consumers opt for vaping due to various reasons and these reasons may either be of vital importance or highly inconsequential. Whatever the reason to vape may be, what matters most is that you are aware of certain important details such as what Vaping in truly all about, how it is supposed to make you feel and how good it works. CBD oil is cannabidiol in its concentrated and liquid state. It is mostly gotten from the Hemp plant and due to its non-toxic nature, it can be purchased from retailers or retail stores in all the 50 states of the United States of America with or without a prescription. 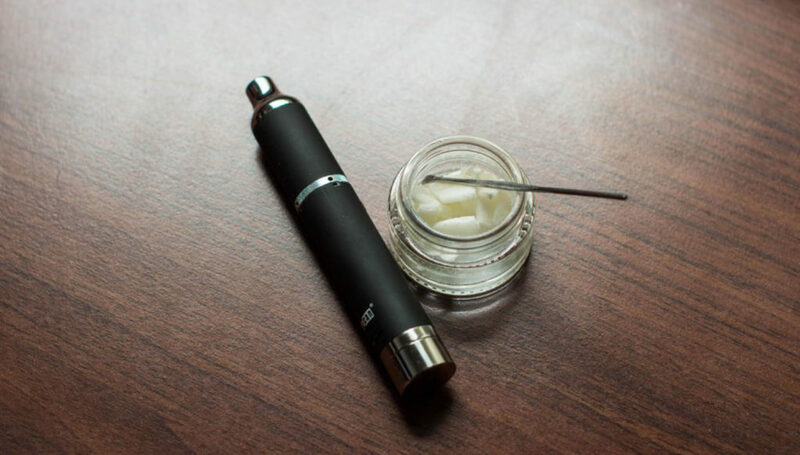 CBD oil can be heated and inhaled with the use of Vaporizers, E-cigarette or Vaping pens. Put in simple terms, the cannabidiol oil is purchased in refill bottles or cartridges and smoked using a vaporizer. A vaporizer is a device that heats up vape contents and turns them into vapor for the user to inhale either for medicinal or recreational purposes. There are various types of vaporizers designed for different purposes. Either for smoking cannabis and other dry herbs, for smoking wax concentrate or for oil. There are also some types of vaporizers that serves all three purposes. Vaporizer pens on the other hand are a type of vaporizer that is particularly designed to vaporize oils and cannabis distillates. They are referred to as “Pens” because they are portable and discreet. Compared to the typical vaporizers, vape pens are also less costly. The Mouthpiece: This is the part of Vape pens or vaporizers that allows you to inhale the vapor when you place it in your mouth. The Tank: This is the part that holds the liquid that is to be heated up and inhaled. For vaporizers, this compartment is seen as a physical tank where you are to fill the liquid while for Vape pens, it comes as an opening where the prefilled or disposable cartridges can fit in. The Atomizer: This is also known as the heater. This compartment is similar to the configuration of an electric stove. It functions by heating up the the content in the tank so that it turns into vapor, ready to be smoked. Some vaporizers and Vape pens come with adjustable buttons for the temperature while others are permanent and cannot be adjusted. According to research and studies conducted, cannabidiol oils are able to vaporize at 410°F to 446°F (210°C to 230°C). The highest temperature gives off the most concentration of CBD vapor. Vape Pens and vaporizers usually come with a battery. However, they are lithium ion rechargeable batteries that are inbuilt instead of the standard disposable batteries. They also come with USB pockets and chargers so that you can plug them into your personal computers or USB wall adapters. Cannabidiol oil is most effective when taken in through Vape pens and vaporizers compared to ingested, oral, sublingual and topical methods. This is because CBD works when it hits the cannabinoid receptors in the body and brain. Other methods of CBD delivery goes through various metabolic processes before entering the bloodstream which is a longer route compared to when it is delivered through the lungs. However, the effects of CBD delivered through vaping devices do not last as long as those delivered through other methods. Although Vape pens and vaporizers are a great way to deliver cannabidiol oils into your system, some individuals prefer various other methods. However, if you prefer smoking, then the use of these devices may be a good option for you. If you are also confused as to which device would suit you, you can check out EMPE USA for info on where to purchase high quality Vaporizer pens.